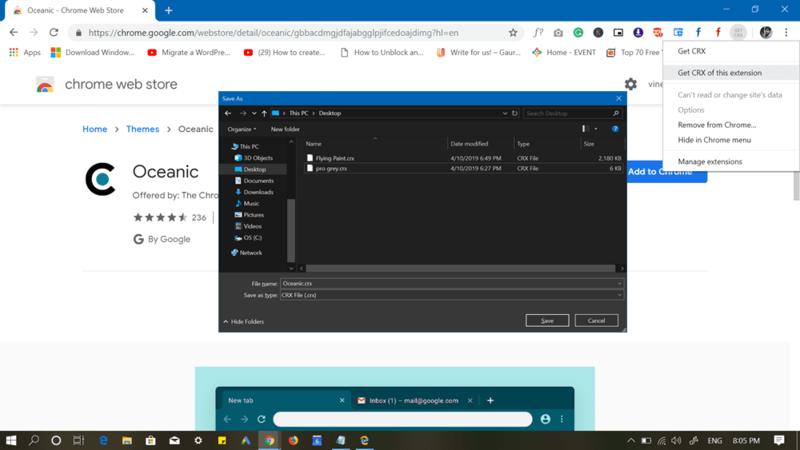 Microsoft Edge Chromium can install Google Chrome themes. In this blog post, learn how to do it. Microsoft has finally released preview build of its Chromium based Edge browser. Since it based on Chromium, it is ovbious users will be able to enjoy most of the features available on the Chrome browser. Like, you can install chrome extensions, themes, and other things possible only in Chrome. 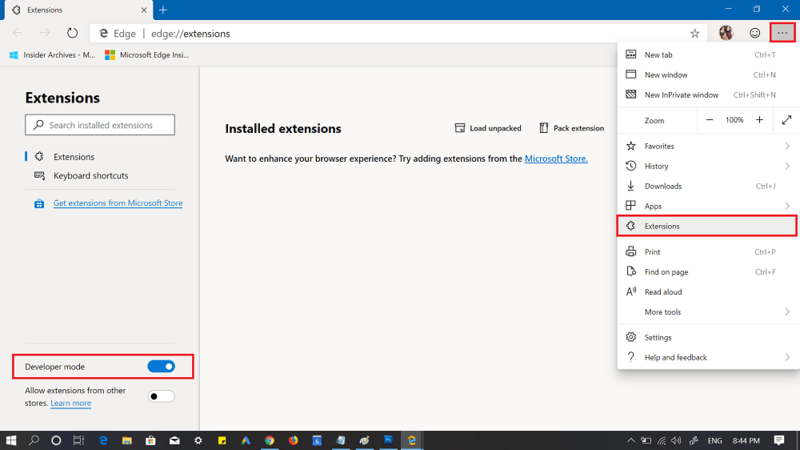 In our previous blog post, we have already covered how you can install Chrome Extensions in Chromium Edge. In case, you’re fan of Chrome themes and would like to apply your favorite one in the Chromium Edge, then fortunately it is possible. The information was first reported by reddit user on this thread. He explained that installing Chrome themes on Chromium Edge is possible only by loading them as a unpacked extension. As the new Edge browser is in early stage of development, don’t expect full fledged functionality at the moment. 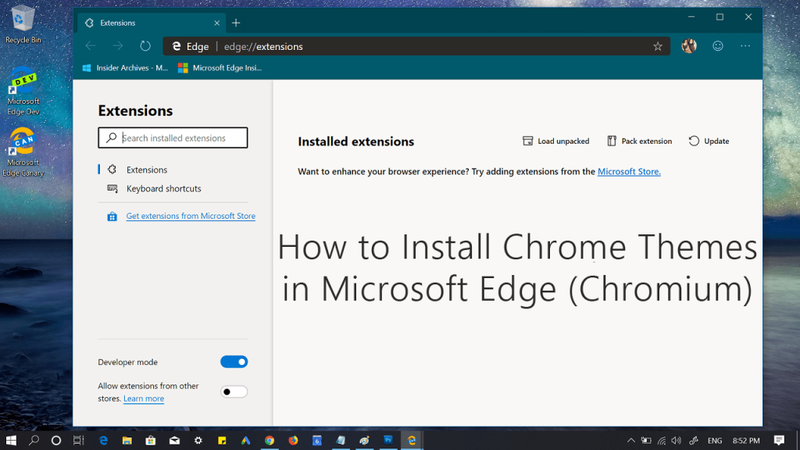 In case, you have installed the latest preview build of Chromium Edge and want to try the feature, then here’s how you can do it. Download and install the Get CRX extension on Chrome browser. Once the installation process completes, the icon for extension will appear on the upper right corner. Next, head over to the Chrome theme page (which you want to set in Chromium Edge) on Chrome web store. For example, we would like to apply oceanic theme. Once you’re on the theme page, click on the Get CRX icon and from the menu select “Get CRX of this extension.” This will instantly open browse window. 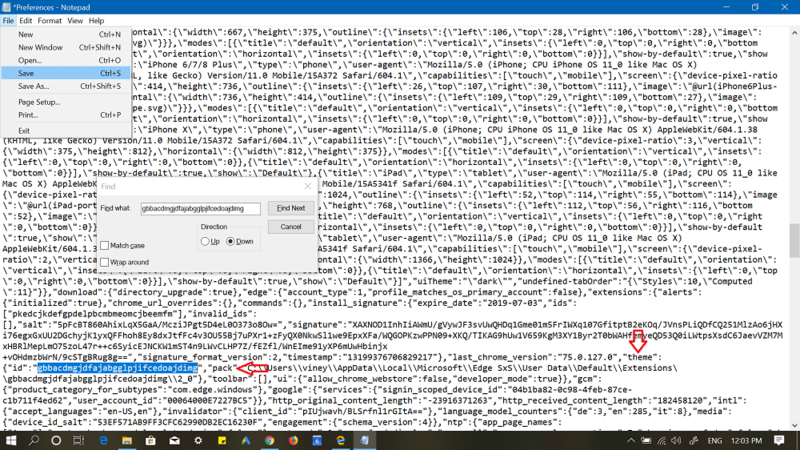 You can save the .crx file of the location whereever you want on your computer. Launch Chromium Edge browser on your computer. Click on the “Settings and more” icon (…) available on the upper-right corner, select Extensions from the menu. Here on this page, you need to turn on Developer mode. The option is available on the bottom left side. 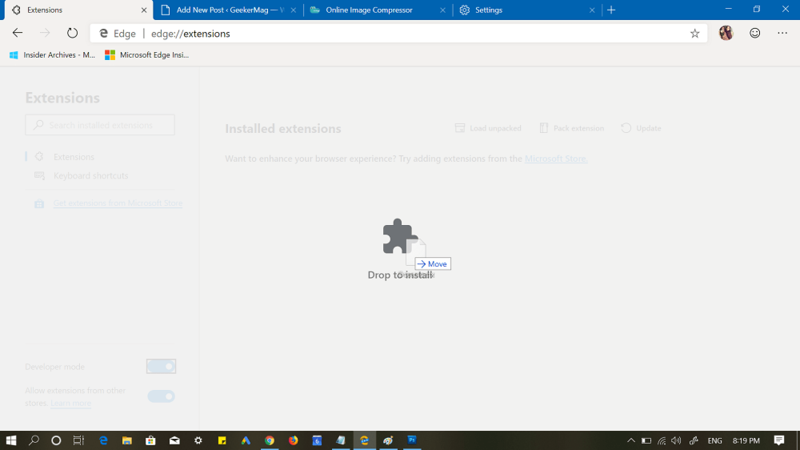 Now you’re ready to install Chrome extension on Chromium Edge. All you need to do is to drag-drop the .crx file of the theme on this page. 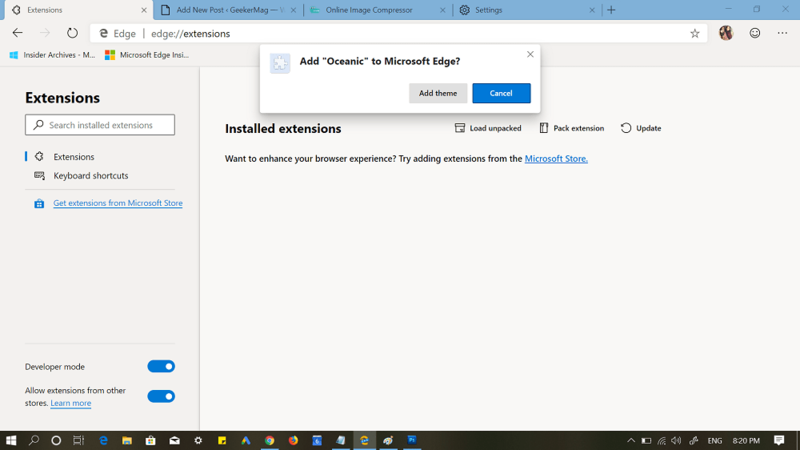 A quick dialog box will open up asking you “Add oceanic to Microsoft Edge” or whatever theme you’re installing, click on Add Theme button. This will instantly enable the theme on Chromium Edge. This is how the Oceanic theme looks like on Edge Chromium. Following the same steps, you can install as many Chrome themes on Microsoft Edge Chromium browser. As we discussed above, the browser is in the early development stage; the feature is not ready entirely. Note: The Chrome theme which you have installed on Chromium Edge will not appear under Extension page. 1. On your Windows 10 computer, launch File Explorer and Copy-Paste following address and hit enter. To save file, click on the File and select Save. Now close the Edge Canary or Dev and relaunch. This time browser will launch with the default theme. 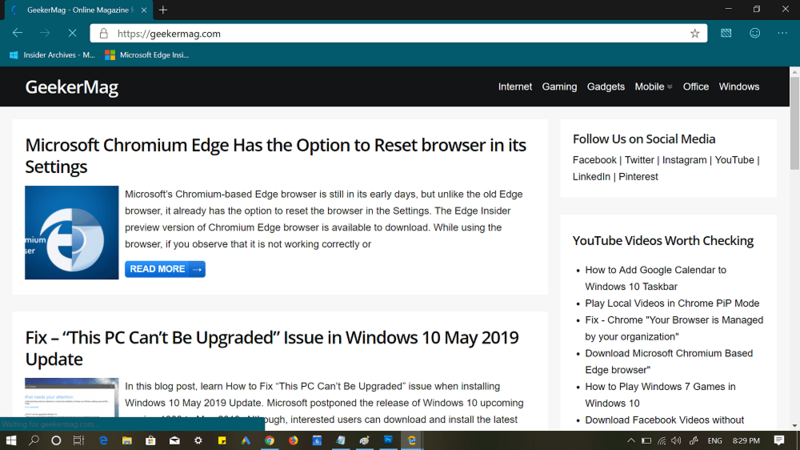 If you’re still wondering about using preview build of Edge Chromium, then check out our blog post on How to Download Microsoft’s Chromium Edge browser. This is not accurate; not all CRX themes will apply correctly due to an invalid header. The best way to do this is to install the theme in Chrome, then in Edge Anaheim with Developer Mode enabled, select Pack Extension. 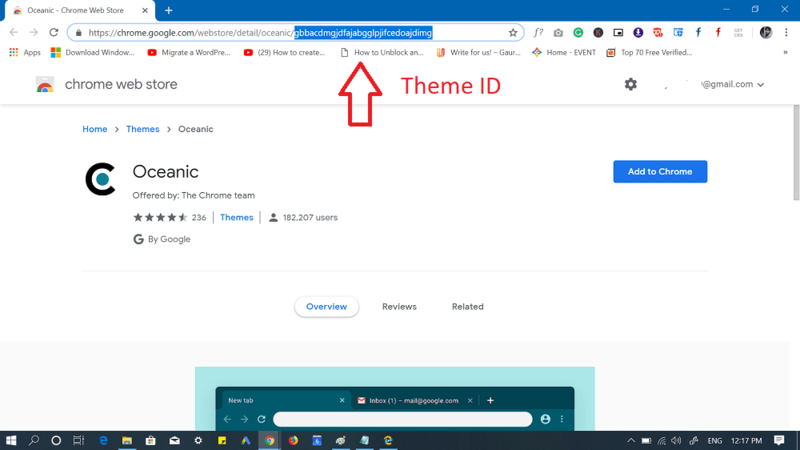 Copy the path to the theme’s folder (identified by the extension ID found either under chrome://extensions or in the URL of the Chrome Web Store), making sure you delete any .pem files located in the directory. Once it’s packed, you can then drag the CRX into Edge. It will be correctly packed for Anaheim and work correctly. Furthermore, it is possible to uninstall themes without resetting the browser. Just edit the Preferences file and delete the extension ID for the “theme” flag, it will return to the default theme. You can also delete the theme’s new folder, but this is unnecessary.